I wasn’t happy with the default Rift Logitech G13 profile so I modified it to what I wanted. My plan is ultimately to have M1 be a non pet class and M2 before pet class characters. I don’t have a character that is a pet class yet so all I have modified is the M1 key. I usually put jump on my extra mouse button, but with Rift I decided to put shift and alt there to give access to more quick toolbars. 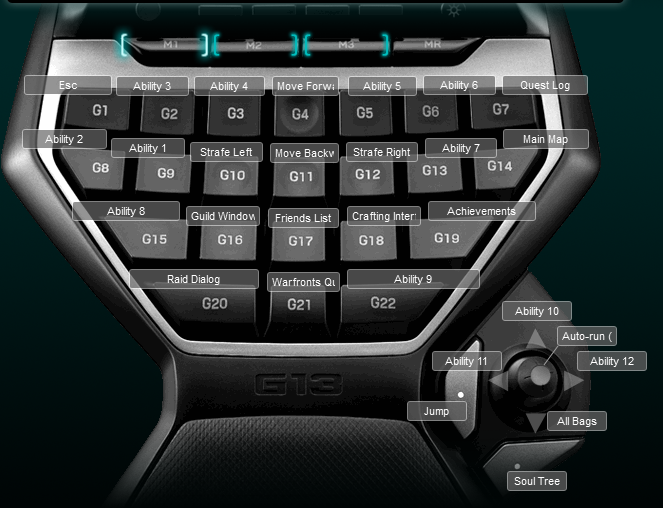 I updated my Rift keybinding to bind shift 1 to = to the second action bar and alt + 1 to = to the third action bar. 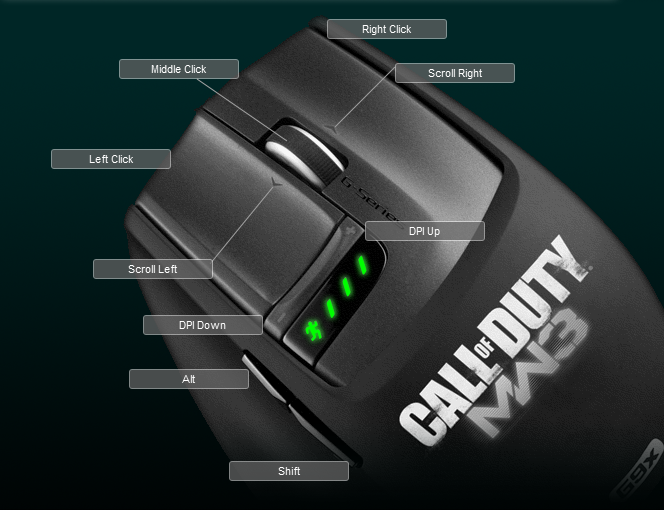 Below is the keyboard layout for M1 as well as my mouse layout.